Looking for an Electrician in Nicholson, Georgia? Whether you're doing renovations, upgrades or experiencing an electrical problem, it's important to find a licensed electrician in Nicholson, GA. Meehan Electrical Services has been working in the region since 1960, servicing the electrical needs of Nicholson homeowners and businesses. Our extensive list of satisfied Nicholson customers displays the experience and expertise of our staff. At Meehan Electrical Services, a certified Nicholson electrician is ready to troubleshoot your electrical issues, answer design and repair questions, and offer advice on codes and electrical upgrades. Trust the experience and track record of Meehan Electrical Services electricians for all of your electrical needs. 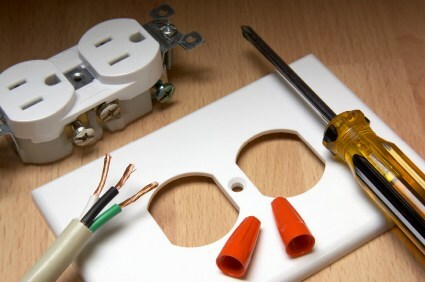 Many people assume that hiring a professional Nicholson electrician is an expensive venture. Although the knowledge and expertise of a licensed pro is undoubtedly valuable, Meehan Electrical Services offers that know-how for a reasonable cost. Nicholson residents can have all of their electrical needs taken care of quickly and efficiently without blowing the budget – all they need to do is call Meehan Electrical Services at (706) 717-4947. The range of projects that Meehan Electrical Services has managed across Nicholson covers everything from small electrical repairs to major wiring installation jobs. No matter how large-scale or small-scale the project, Meehan Electrical Services staff work hard on the details to provide a neat, tidy and safe finish. Do you want to hire a reputable electrician in Nicholson, GA? Meehan Electrical Services’s attention to detail and careful work ethic drives them head and shoulders above other Nicholson electrical contractors. Trust the years of experience and attention to detail that Meehan Electrical Services delivers. To hire an affordable, licensed Nicholson electrician for your electrical projects, call Meehan Electrical Services at (706) 717-4947 and arrange for an estimate. We love electrifying people's lives! 5★★★★★ - "I can't thank Meehan Electrical enough for their help. I made the call & got approx. time they would come & they came exactly at that time for the service call. Fixed original issues and went on to handle several others. They proved to me that no job is too small. My husband & I will definitely do business with them in the future! Thanks guys so much!" 5★★★★★ - "My favorite thing about your company is that you do what you say you will do, and you do it well. Phone calls get answered. Problems get fixed. Work is done on time. I always know my home is safe when Lamar is there." 5★★★★★ - "This afternoon I called Meehan Electrical Services to get an estimate for a service call to my home. Jeff Meehan answered the phone and I described the problem, two electrical outlets that had suddenly stopped working. Jeff listened to me carefully, asked several questions, and then he was able to troubleshoot my problem over the phone. I don't know anything about electrical matters and I was nervous about even approaching the breaker box, but Jeff was patient and he took the time to explain everything to me as he went. I followed his suggestions, and the outlets are working fine now. I will definitely use Meehan Electrical Services for any electrical matters in the future. I am pleased and so grateful to God for the blessing I received today through Jeff Meehan." 5★★★★★ - "Called Meehan when we had breaker problems and Jeff walked me through the steps to solve WITHOUT having to make a service call! Great folks and most helpful and would highly recommend." 5★★★★★ - "Jeff was more interested in helping me over the phone than earning a trip charge for one of his technicians...unbelievably selfless. Thank you! You've earned a future customer." 5 ★★★★★ - "We had an electrical outage in our home and after calling 5 electricians, Jeff called us back promptly and advised us that it sounded like an issue with our service coming in from Georgia Power and advised that we contact them first. We did and that was indeed the problem and the problem was solved at no cost to us. We are grateful for Jeff's prompt response and accurate advice."